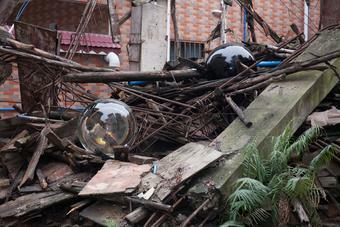 In this intervention, two large spheres, one of glass and one of obsidian, appeared unexpectedly on a pile of rubble situated between houses in the village of Dong Zhuang, China. 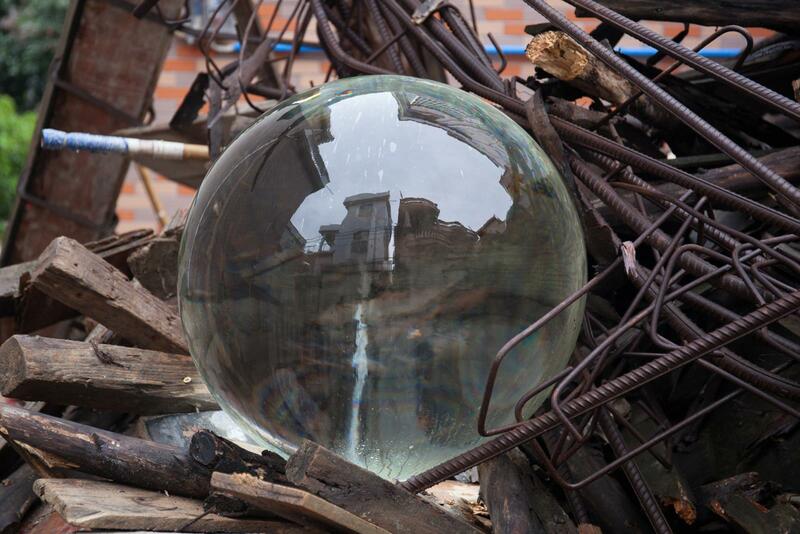 Executed in conjunction with the artist’s exhibition at Vitamin Creative Space’s Mirrored Gardens, We have never been disembodied, the intervention gestures to two works shown there, Open ego and Closed ego, which employ glass and obsidian spheres respectively. 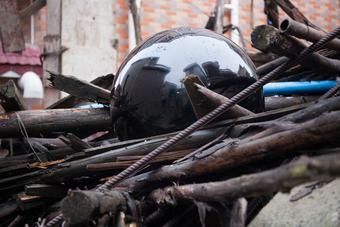 This visual similarity serves to forge a metaphorical link between the village intervention and the exhibition. 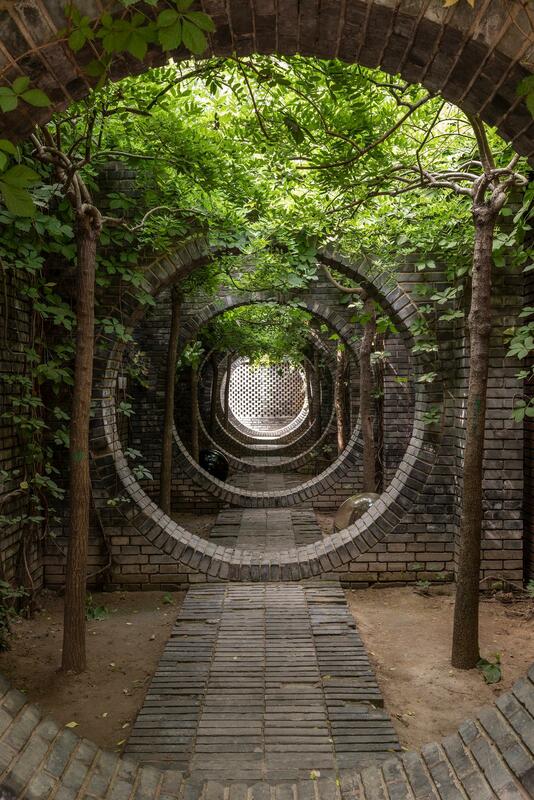 Even so, the intervention’s raw and chaotic backdrop inverts the customarily restrained and unadorned environment of a museum or gallery space, while the urban setting contrasts the idyllic locale of the Mirrored Gardens campus. The massive spheres, each sixty centimetres in diameter and over 350 kilograms in weight, were displayed in public space for a week, left undisturbed despite their peculiarity and unusualness.